﻿ GR11. 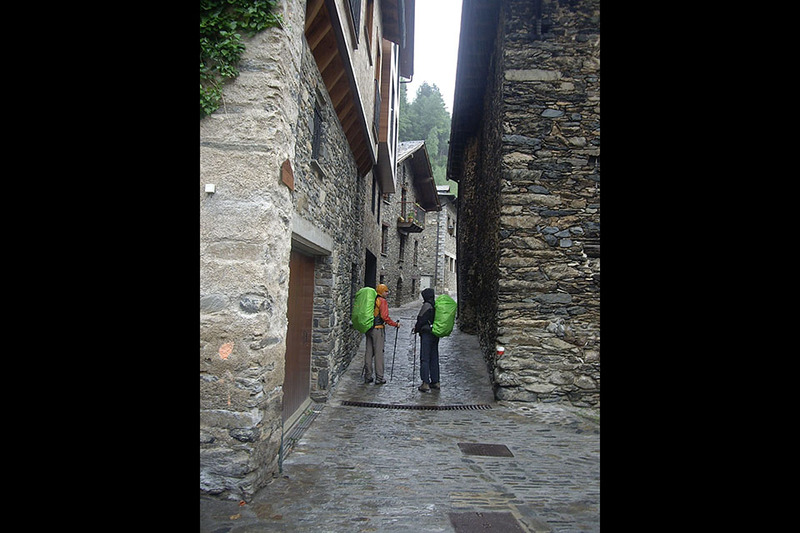 Stage 32: Arans-Encamp. 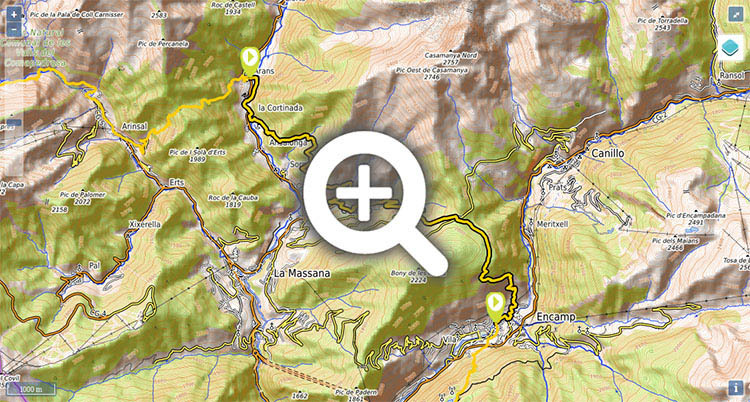 Difficulty: the ascent to and descent from Coll d'Ordino is long. Water: at around the half-way point you will find the Fonta de la Navina drinking fountain. 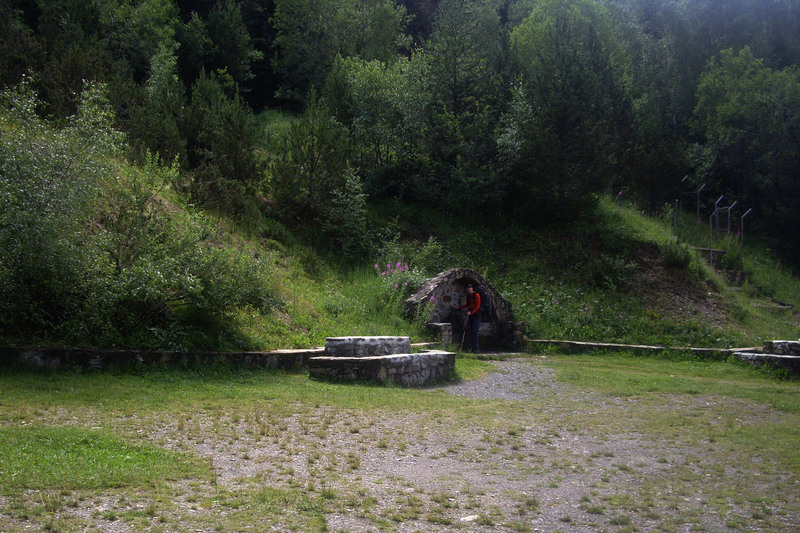 (0h15min; 1.1kms) La Cortinada (1350m). You cross over the river again, where there is a drinking fountain on the left, and carry on ahead along the Camí Vell, a narrow lane lined with stone houses. After 80m the street veers first right, then left, until it rejoins the river by the Pont del Vilar bridge. The GR11 heads to the left and up the Carrer de la Sola, leaving La Cortinada behind. 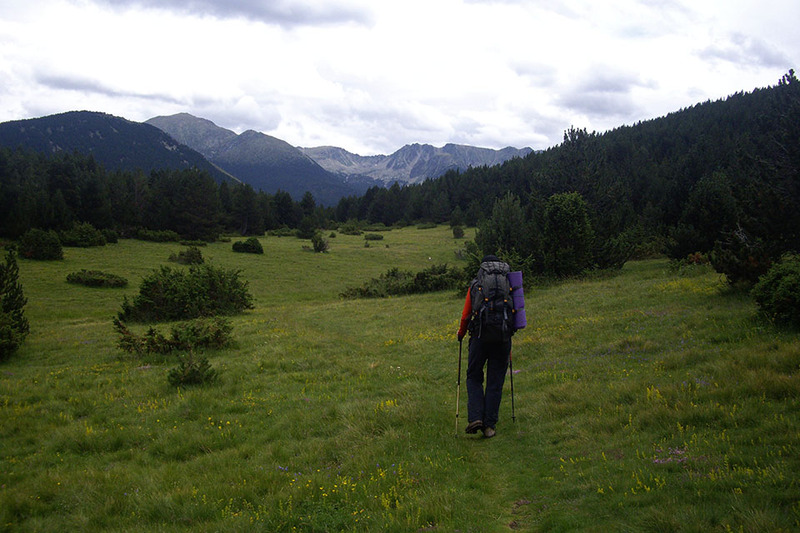 Further ahead, the path heads into the woods, where it gets steeper, to tackle a 150m climb that ends at the Collet de les Planes - Solana del Saltader, an open grassland with magnificent views over the Valira del Nord valley. 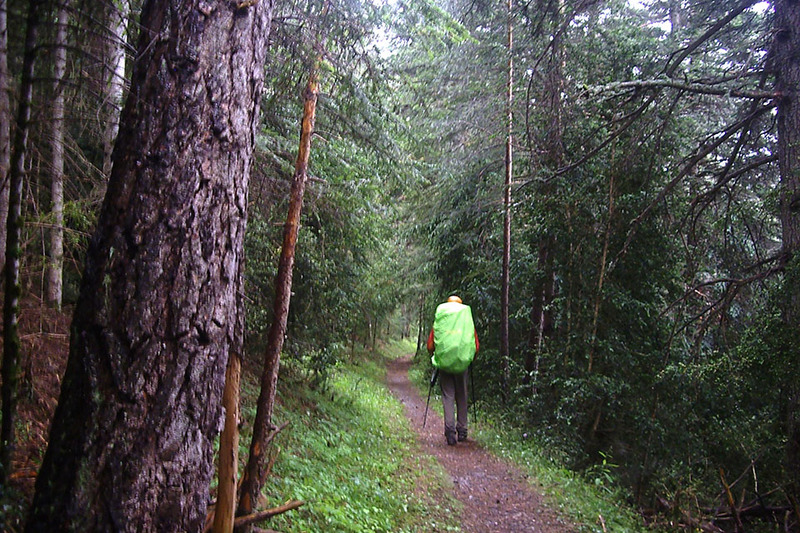 You follow the hillside path, without gaining height, pass the Riu de Sornàs, then climb through the Becet forest. 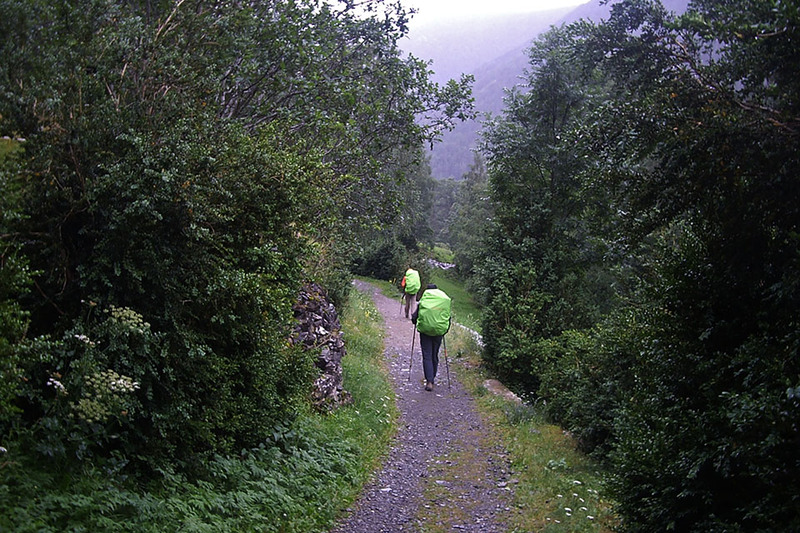 The path then begins to head downhill across rough terrain until it comes to a track that leads down to Ordino. You follow it for 1 kilometre. 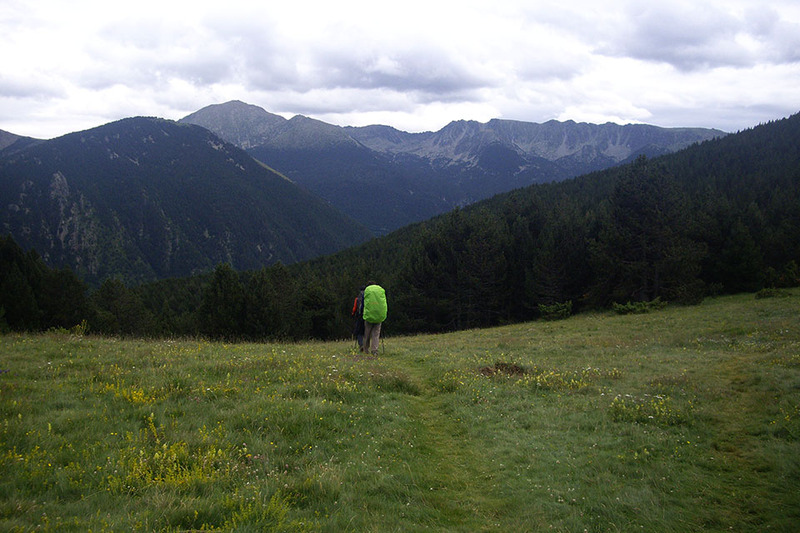 (3h35min; 10.5kms) Coll d'Ordino (1973m). The GR11 crosses the road and follows a reasonably flat section of open land. It then heads into a pine forest and continues south for a few minutes until you commence the definitive descent to Encamp. 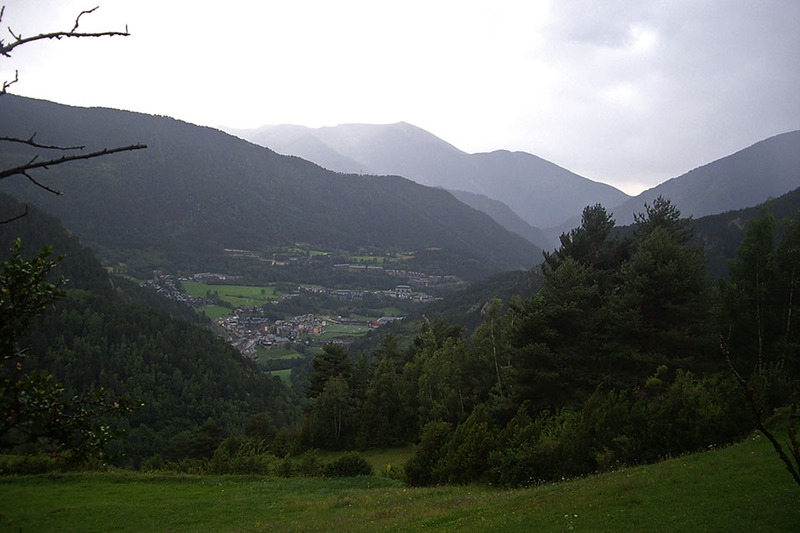 Just before reaching Encamp (you will see it for most of the downhill section) you take a path that leads to the Romanesque chapel of Sant Romà de les Bons. 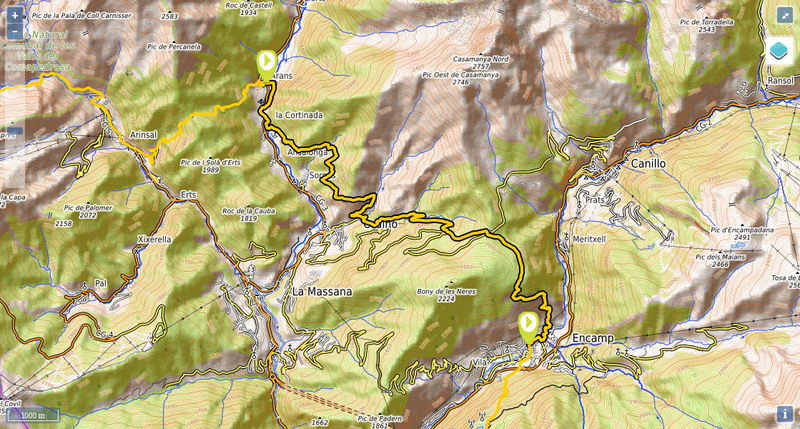 At the beginning of the stage, in La Cortinada (1km from Arans) you have the Hotel Mu and the Hotel Sucara. During the stage, following a diversion less than 1km from Ordino, you have a choice of accommodation: Hotel La Planada , Hotel Ordino , etc. 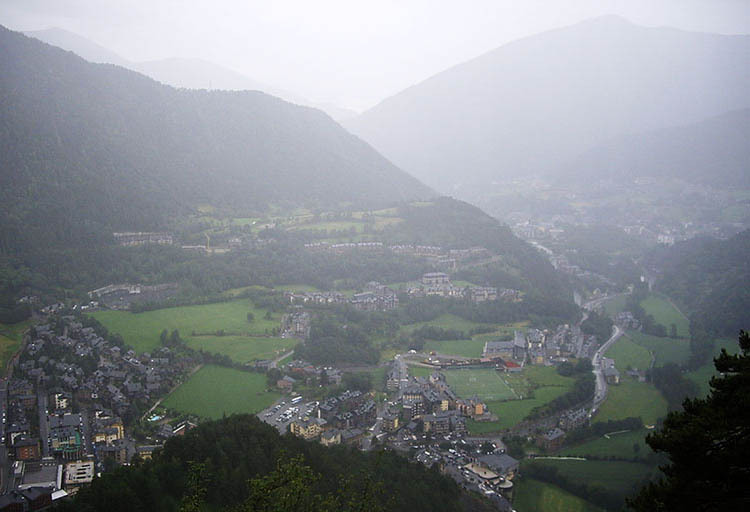 At the end of the stage, in Encamp,there is plenty of accommodation on offer. Close to the centre, and for a reasonable price, you have Hotel París or Hotel Guillem. 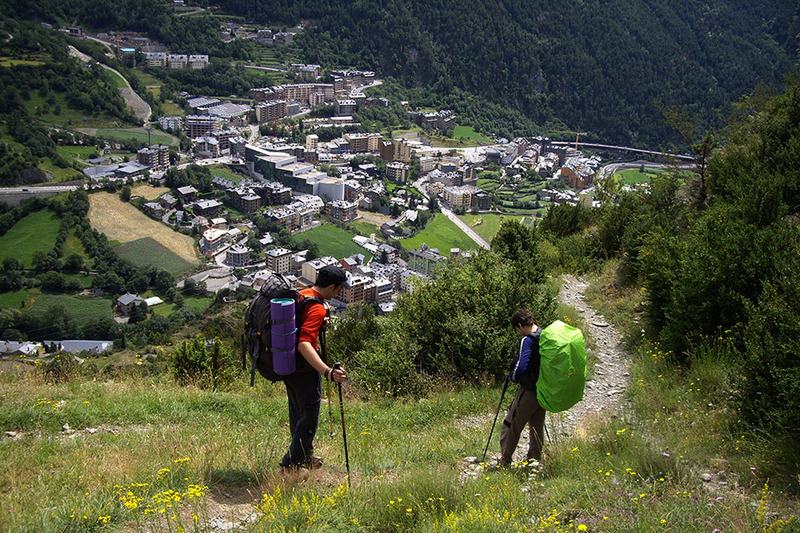 The Refugios de Andorra passport certifies that you have completed a GR route in Andorra and you get a gift to go with the certified diploma (visitandorra.com). Entre Arans y La Cortinada.